In December 2017, I got word from Ukuza that we’d been approved for PAX South. Sweet!! 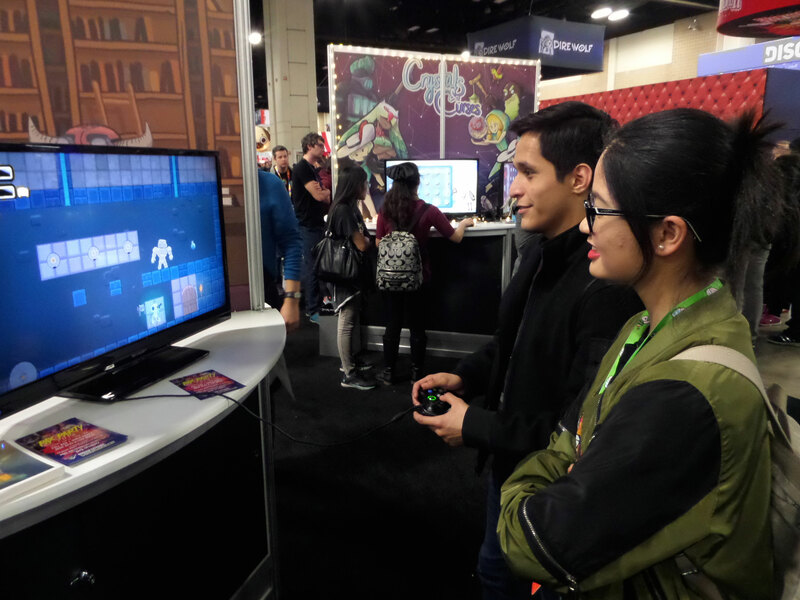 I was so happy to be able to take my game on the road and see what people thought of it. Once the initial excitement wore out, I needed to figure out how exactly I was going to make the nearly 3,000-mile round trip. I don’t usually have much money to throw around for trips and big fun stuff. I live with a tightened belt at all times, as freelancers often do. I’m not complaining. It’s just life for me right now. To make this trip possible, I’d need to cut any extra expense that wasn’t absolutely necessary. First thing to get dropped was my original hotel reservation, which was going to cost over $400. I reached out to a few roomshare offers around Twitter/Facebook, but the savings still weren’t enough to justify it. Eventually I settled on an Airbnb room, which was SO CHEAP, and just a few minutes from downtown San Antonio. At $16 a night, I was going to be able to stay there 4 nights at a cheaper rate than a single night in most hotels. I bought some Greyhound tickets and was a bit excited to travel the country by bus. I made my purchase shortly after the new year so I was able to get a discount due to some promotion they were doing. I don't do much traveling, so I was able to borrow some nice luggage and a digital camera from Laura, who also agreed to drive me to the bus station. She was a huge help as I was leaving town and making sure I had all that I needed! Looking at my bus itinerary, there were quite a few layovers and breaks. I wasn’t planning to buy much bus station food if I could help it…the food is typically overpriced and it adds up fast. I packed my own sandwiches, trail mix, crackers, beef jerky, etc. Not gonna lie, I did end up buying a few cheeseburgers haha. I love burgers. How to put this delicately…IT WAS HELL. Now, this is not meant to scare anyone away from traveling on a budget, but you need to be aware of the risks. To begin, my very first bus transfer out of Raleigh was 90 minutes late, which was an unlucky event that sent terrible ripples into the rest of my journey. Buses at later stops don’t care if you aren’t on the bus when it’s time to leave. So that meant when I got to Atlanta, a short layover turned into a 6-hour stay inside the station while we waited for another available ride. At one point they lined us up to finally get on our bus, only to sit us back down and announce another delay. Get used to this. It’s a trend in this blog post. 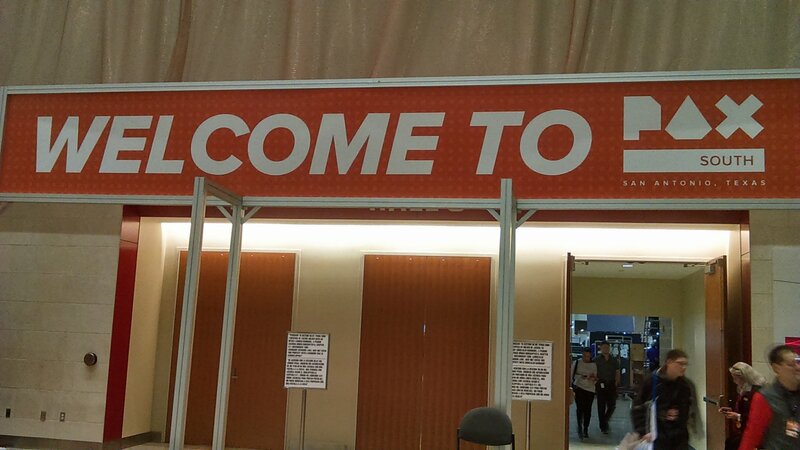 Despite the delays, I was able to get into San Antonio the night before PAX began. I stepped out into sub-freezing temps at about 1 in the morning. I was exhausted, to say the least. The Airbnb owner offered to give me a ride to her place, which was incredibly kind. I showered and crawled into bed, with only a few hours to rest before I’d need to prepare for the first day of PAX. Excitement and anxiety made it difficult to sleep. I had an upset stomach as well, from stress. I was determined to make the best of it. 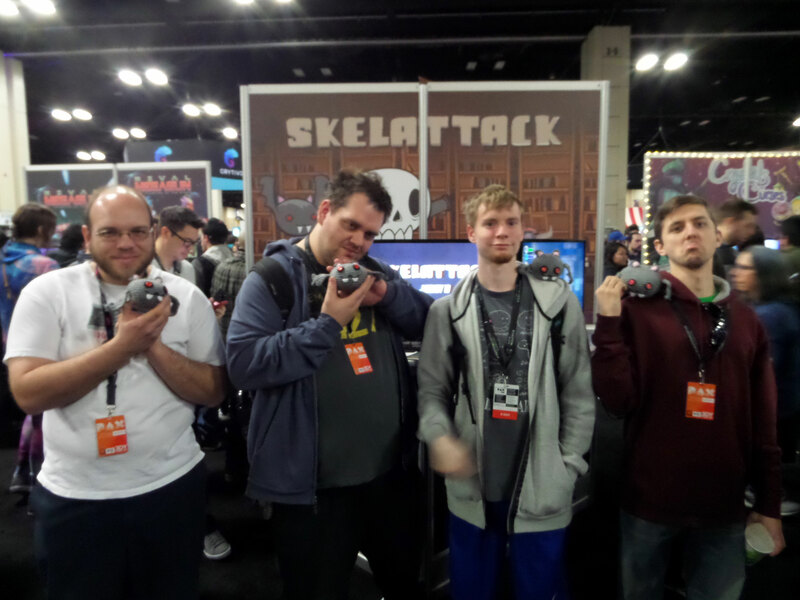 Let me be clear when I say that everything I went through was worth it just to show Skelattack at PAX. We got tons of great feedback, made lots of new friends, and had an amazing 3 days together as we realized what a great product we had on our hands. -3 people on one booth meant that fatigue/bathroom breaks/hunger could be easily dealt with. -We ran a fun contest with prizes that really helped us connect and engage with players on a new level, as well as keep an eye for potential gameplay issues. -We really hit a good stride with how we wanted to talk to people. We were of one mind and our energy levels were consistently high. -I bonded with my publisher in a great way, which is so important to having a good work environment, even if it’s an online environment. -So many great indies were surrounding me, and the inspiration/mutual respect flowing through the space was palpable. Really great people! -I could have done more to protect myself from airborne sickness. It’s a week after PAX as of this writing, and I feel like death. Don’t jeopardize your health! -My old development laptop doesn’t have an HDMI input. The monitor my publisher rented to display my screen was temporarily incompatible, resulting in Shane having to make a mad dash to pick up the cable I needed. Keep an eye on your technological needs before you get to an event. -I didn’t have any business cards. We had cards for our booth of course, but I didn’t have any personal cards. It may not make a difference anyway, just something that I kicked myself for a bit. -If I could do it again, I’d take more pictures and video. -While I did list above that the demo was quite solid, there was a final collision update that honestly didn’t get tested as much as it needed before PAX. This lead to a few instances of Skully clipping into a wall and falling off of the world. Embarrassing, but thankfully the players were very understanding and totally cool about it. Don’t tinker too much before a big event if there’s any chance that these updates could break your game. Some of the winners of our Death Count Challenge! These guys were great, and worthy of their Imber plushies. This is a day I'll never forget. Being a few miles from downtown meant that I couldn’t just walk to PAX every day. The bus lines in San Antonio were fantastic, and if you give yourself some time to learn the routes before you arrive, it makes everything easier. I’d found their website days prior and had written detailed notes to myself about which bus line I’d need to do my daily activities in the city. they even have a mobile app where you can buy an all-day pass right from your phone! I don’t live in a huge city so it took a little extra for me to get used to the transit. A little prep in this area went a very long way. I figured it out by myself, and you can too. Just give yourself time to process the maps. Note: Public transit makes a lot of stops along its route. If you need to be at your destination at a certain time, be sure to catch an earlier bus to just be sure. They run every few minutes typically, so you have plenty of options. A few of the many awesome players we met along the way. These two were hilarious while they made their way through the demo! You thought the first trip was bad? Get ready. My routes and layovers actually were on schedule for most of the trip, which was great. I got to Knoxville, Tennessee and a fatal error was made that ended with me spending over 24 hours trapped inside their cold and uncomfortable station. I’m still angry about that one. My voice was weak from PAX; all I wanted was to lay horizontally in a bed and maybe get a shower. These bus stations seem to be built to break the human spirit; no cushions to be seen on these cold metal chairs. At night the heat seems to stop working and it’s like being inside a refrigerator. 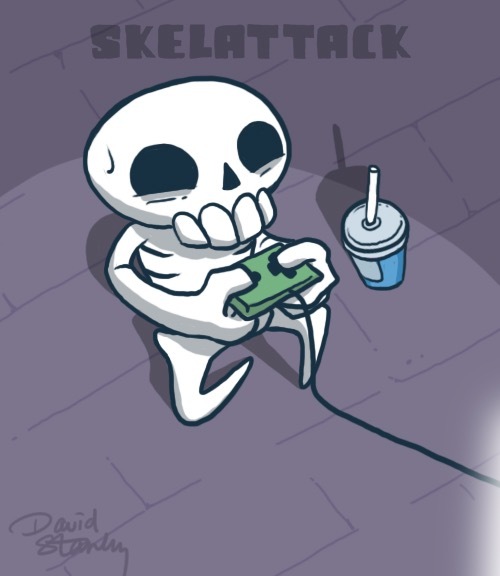 By contrast, Skelattack's dungeons are far cozier. Anyway, I catch the bus the next day. A big winter storm was in the process of covering everything in snow, and news reports were starting to worry me as bus lines and roads were starting to close. We headed out, driving through the day and into the evening, eventually passing into my home state. Ok so…eventually I made it home. Finally. •What’s the Deal with Greyhound?? If you spend any amount of time researching the company, you’ll find horror stories worse than mine. The company seems to be understaffed, overworked, and the low prices mean you never know what sort of characters will be on the road with you. I think for a short trip, it’s a fine option. When you’re going as far as I needed to go, there's way too much room for error. There’s a lot of vague activity and inconsistencies within the stations. Some of them don’t have a working PA system, so somebody just comes out and yells and you just have to be lucky enough to hear them over the crowd. Because NOT hearing them properly can lead to you getting stranded for hours. PAX was unforgettable in all the best ways, and I proved to myself that I could travel almost 3k miles on a tight budget in order to live my dream. For the future though, I’m going to make absolutely sure I can just fly instead. The sooner you confirm your own convention trip, the sooner you can begin planning for it. Q: How much do you regret this PAX trip, after this whole crazy ordeal? I hope this is helpful in some way to anyone nervous about traveling to their first convention, or looking for tips on how to get the most out of this unique opportunity. It's by no means an exhaustive list, as I'm really just learning as I go. If there's something here that you'd like more info on, feel free to message me directly on Twitter. People have many ways of describing me as a person, but the common thread in many of their descriptions will be about my art. Whether people just knew me as that quiet kid in middle school who was always doodling in class, or as a passionate freelancer who has sold art internationally. I've been blessed with a creative mind, and the resources to better my own life with it.Is art an extension of the man, or is the man an extension of the art? Probably a bit of both. Enjoy your stay.